Owning a house is still a monumental investment in this day. The longer you live in your home, the higher the increase in value it gets as a return to your investment when you ever plan on putting it up on the market. In addition to that, homeownership can help you build an equity over time. If you compute the mortgage payments, a fixed rate monthly, vs. your rental price, which can increase in value over time, purchasing a home serves as a solid investment. If you’re currently renting, you probably know how frustrating it feels to have a lot of restrictions and freedom you’re given when it comes to designing your space. You can’t do anything you want to do: paint the walls, you can’t even bring your loving pet without the landlord’s blessing. Homeowners have the freedom to modify their space the way they please—paint their walls red, repaint and/or refurbish their kitchen cabinets, bring in lots of pets, and a whole lot more. No need to ask permission from anyone since you’re the head of the household. When given a ballpark figure on how much it would cost you to purchase a house, it may seem for a moment that renting could be cheaper. However, if you look closely and compare the breakdown of expenses, you’ll see that the money you’d throw away on rent would be better spent on mortgage payments—where the money goes to paying off your own home as opposed to your landlord. One of the primary advantages of owning a home is gaining stability—both in terms of finances and lifestyle. Since buying and owning a home can be more affordable than renting, chances are your monthly mortgage payment is cheaper than rental prices, as mortgage payment rates are fixed while rental prices fluctuate and/or increase annually. Owning a home not only opens the door for a great many opportunities but also enriches your family dynamic and a more involved community among others. 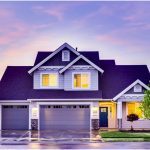 This entry was posted in Real Estate Investing and tagged Home Builders, Homeownership, homeownership benefits, kit homes, real estate property. Bookmark the permalink.